HPN Specializes in Prototyping Services & Low-Med Production Runs. Full-service Electronic Contract Manufacturer of PCB Assemblies, System Integration, Cable Harness Manufacturing and Repairs. 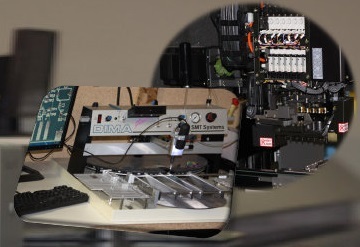 Our manufacturing services include full turnkey or consigned product assembly. Our capabilities and resources are flexible and are expandable to customer requirements. To ensure Total Customer Satisfaction (TCS) with innovative solutions to Engineering challenges, On-Time-Delivery and within budget. We aspire to achieve a Zero-Defect Quality output and always endeavor to get the job done right first time, every time. We constantly strive for TCS with the ultimate open agenda of being rewarded with Return Business from our customers.